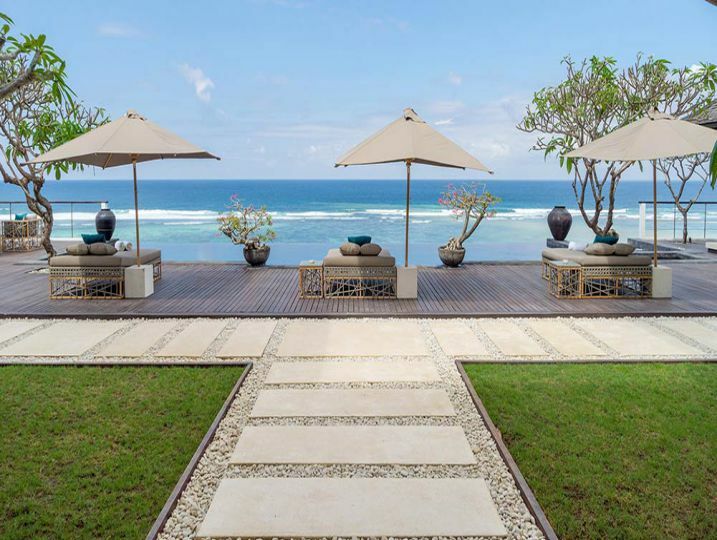 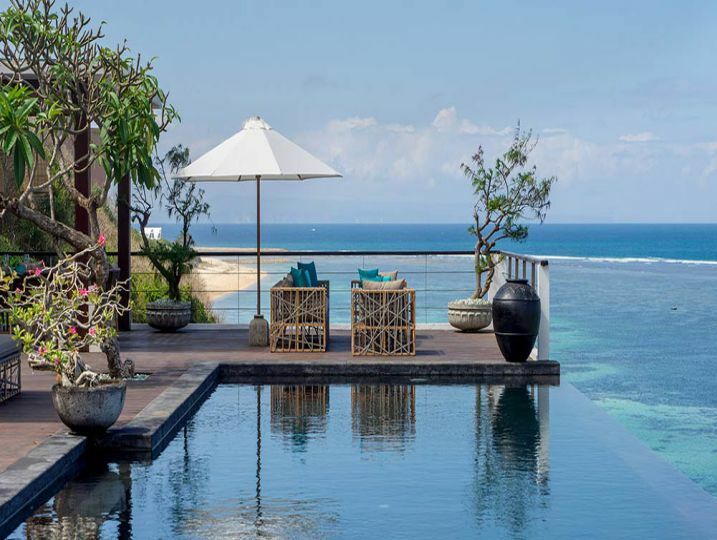 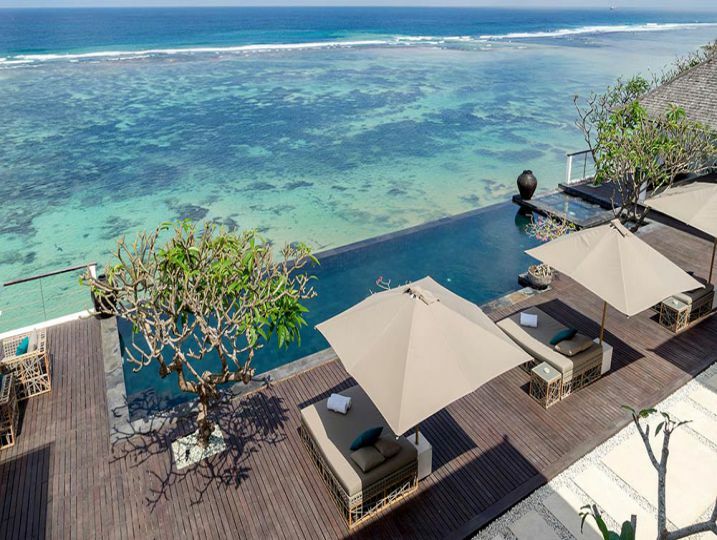 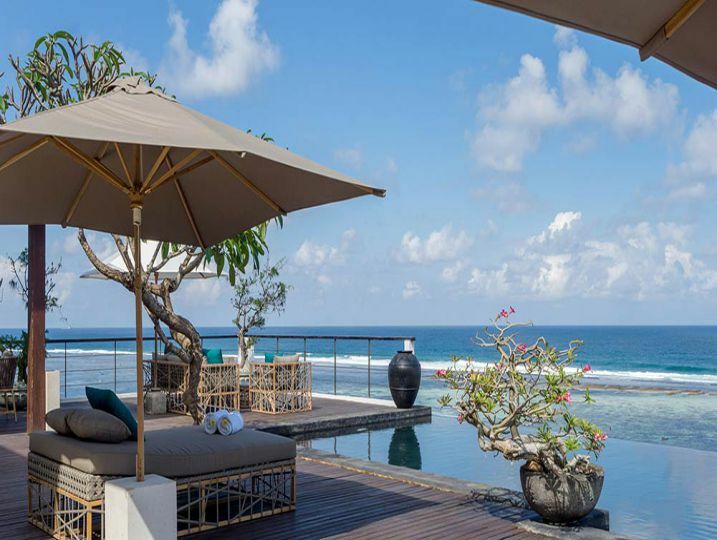 Villa Grand Cliff Nusa Dua is a spectacular five-bedroom property carved into the southernmost cliffs of Bali’s Bukit Peninsula. 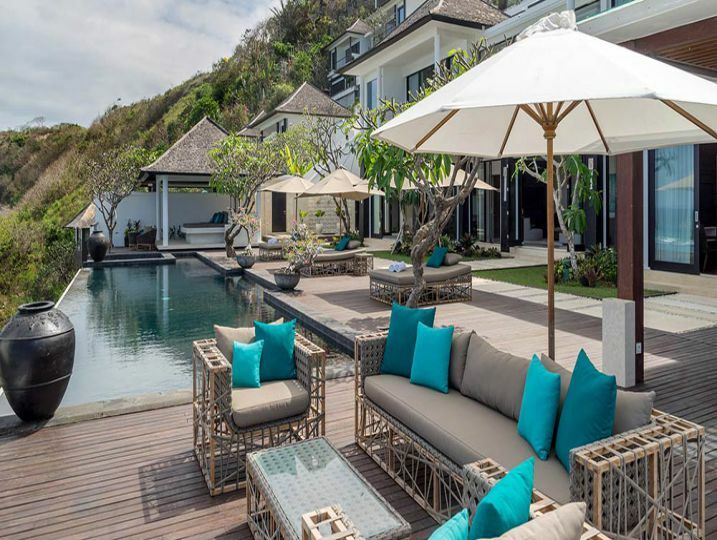 Spanning three levels, the villa is characterised by contemporary architecture, multiple indoor and outdoor living and dining areas, comfortable furnishings and the full gamut of relaxation and recreation facilities. 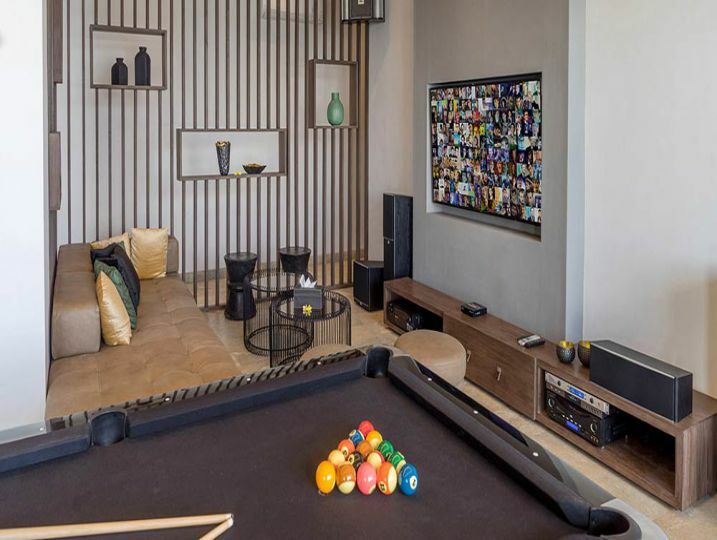 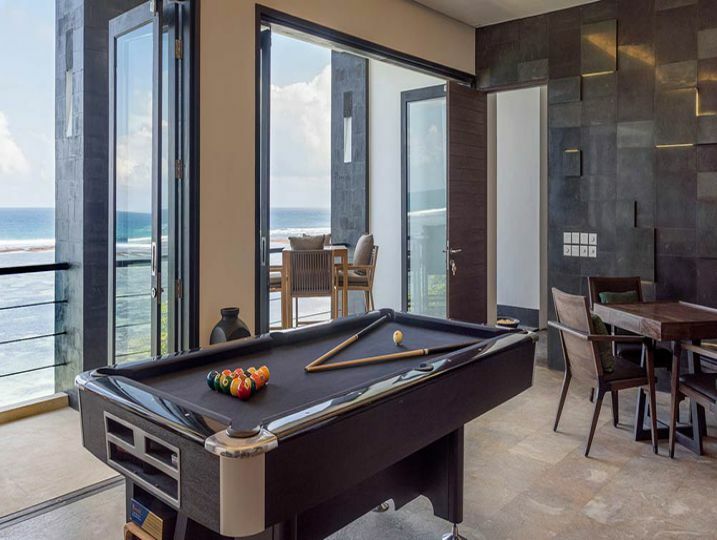 These include a 16-metre cliff-edge swimming pool and jacuzzi, a games room, bar and home theatre with the fun addition of a karaoke machine, a spa, an infrared sauna, and a gym. 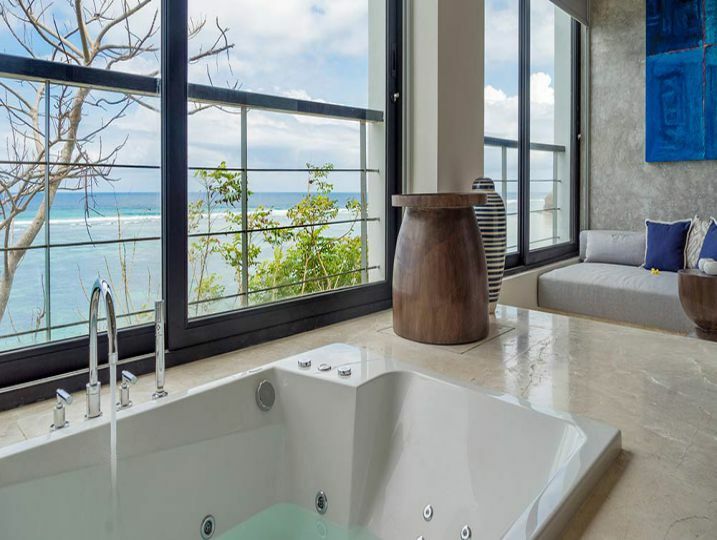 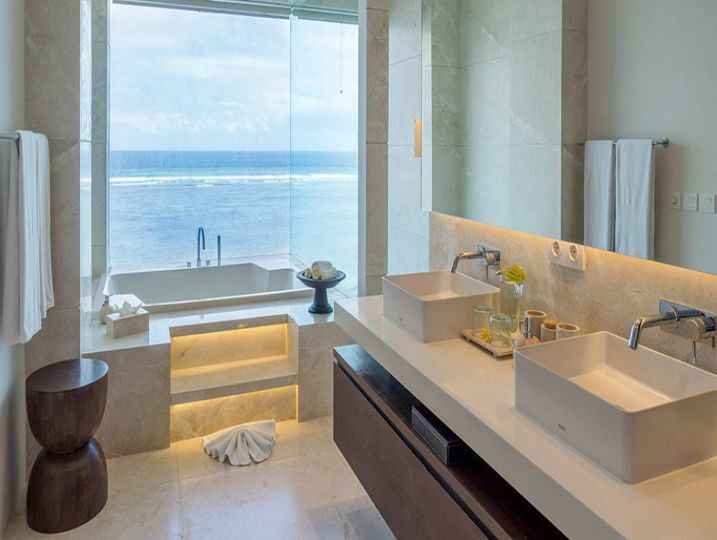 All of the rooms are blessed with views of the Indian Ocean; bedrooms are spacious and incredibly comfortable, while a precious feature in three of the suites is a bathtub or jacuzzi overlooking the ocean waves. 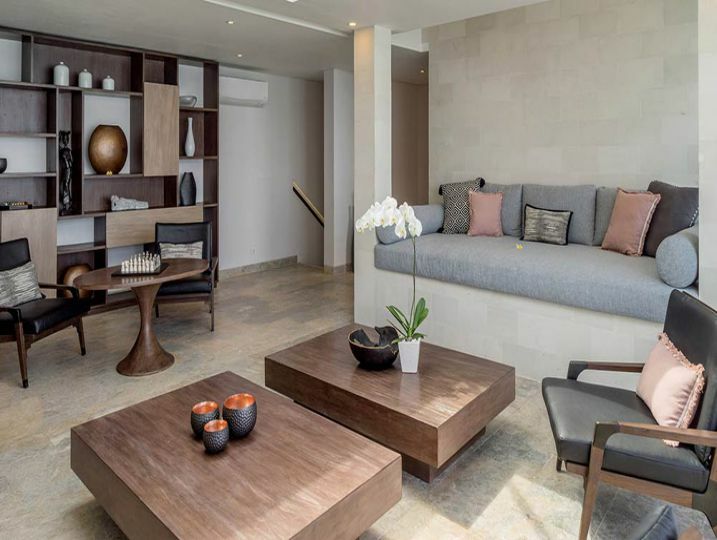 Guests won’t have to lift a finger as a professional team of staff – including a manager, a butler, housekeepers and a personal chef – is on hand to look after every possible need. 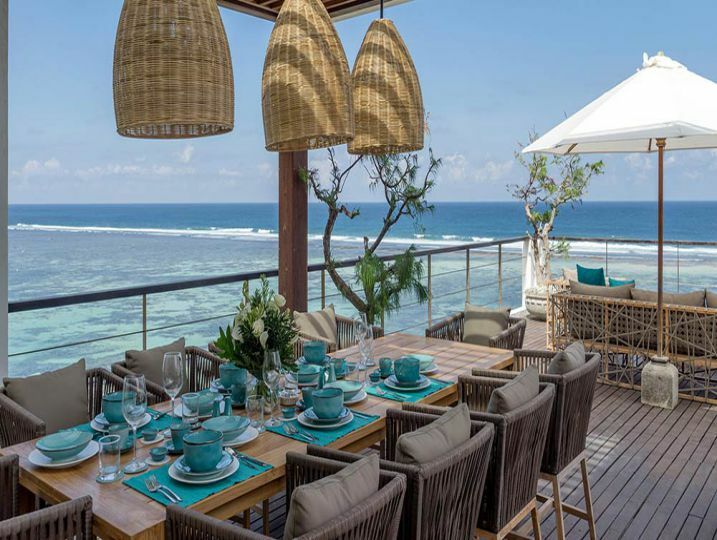 Ideal for families and groups of friends, and securely situated within The Asmara private estate, with a honey-sand beach just footsteps away, the villa is self-contained and secluded, far away from the crowds and the traffic-filled streets. 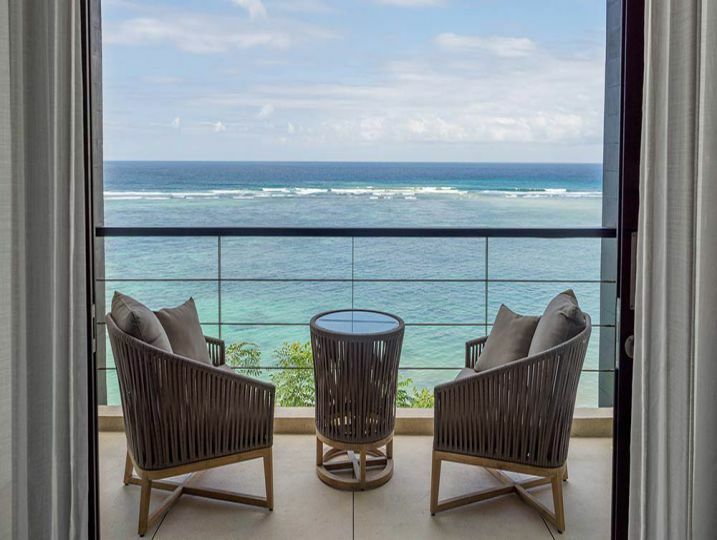 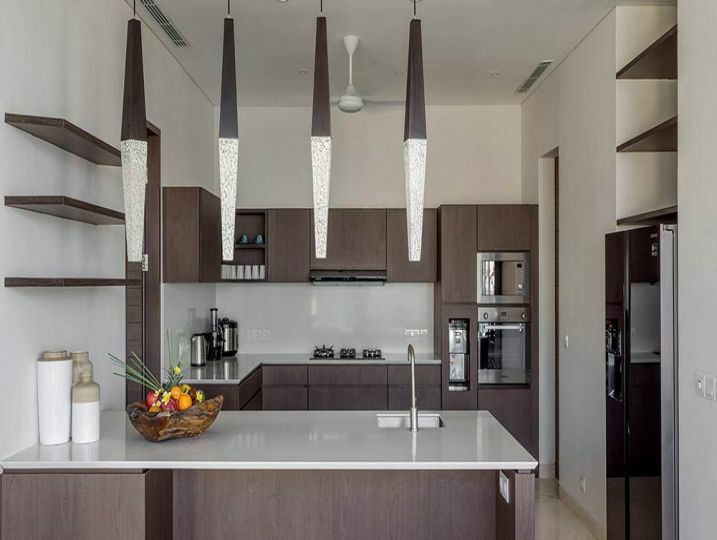 Guests may have no real desire to venture out unless they wish to go sightseeing or shopping, play golf or participate in watersports at Nusa Dua, which is a five-kilometre-drive courtesy of the villa’s comfortable six-seater car and driver. 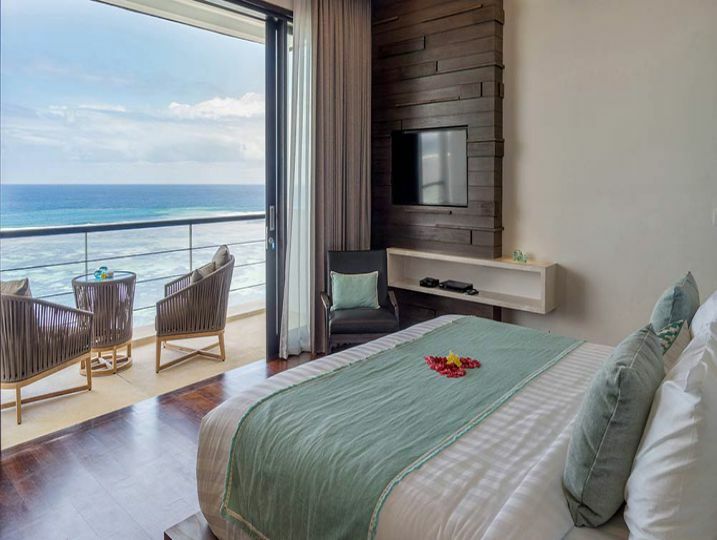 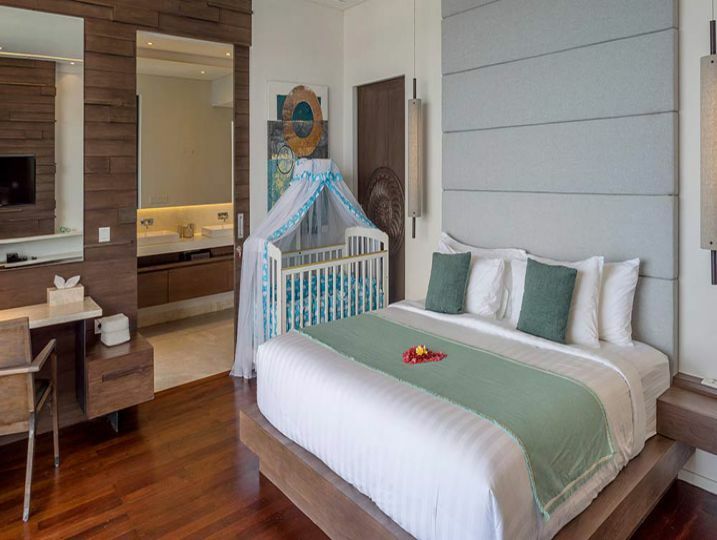 Grand Cliff Nusa Dua – 4 Bedroom is available for selected dates.